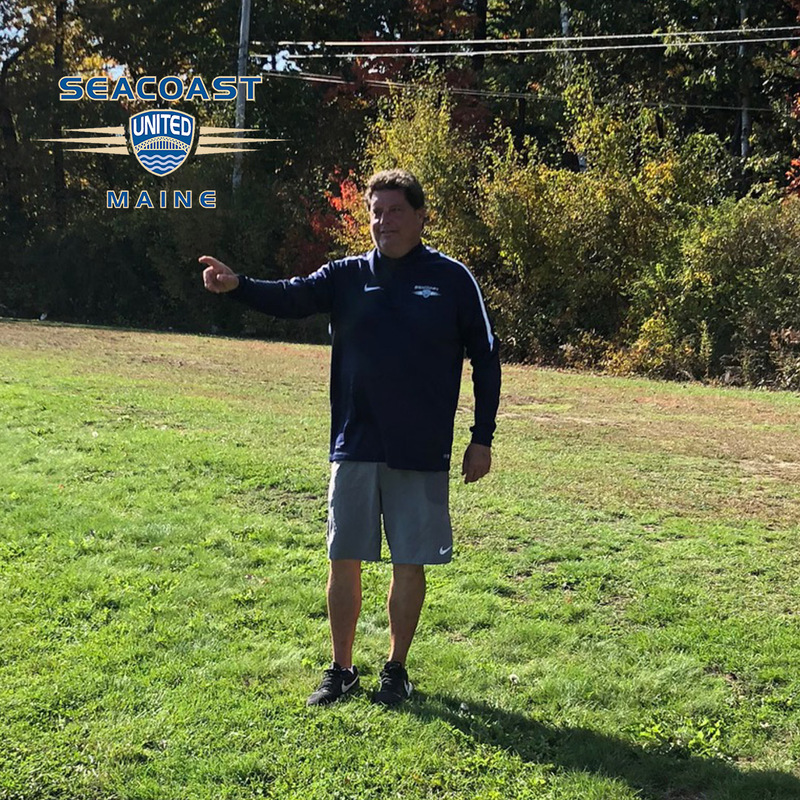 In this week’s “Get to Know” article, we will be learning more about Seacoast United Maine South staff member, Sean Davis. Sean will be coaching the clubs 2004 Boys White, 2007 Boys White and SUGS Academy. My name is Sean Davis and am I proud to be a real “Maine-Ah”. I was raised in central Maine and currently work and reside in the Mid-Coast area with my wife Holly and our three dogs, Vanilla, Beckett and Fenway. What is your previous experience playing/ coaching soccer? I made my soccer debut at age 5 with a mean direct kick. Ok, not really but I sure enjoyed the pitch from an early age. I continued my career thru high school and college at West Virginia Wesleyan. I have been coaching for twenty-eight years. I started my coaching career as a Black Raider at Winslow Junior High School, had stints as a Terrier of Thomas College, a Ram at Cony High school, a Yellow Jacket of St. Anthony’s Prep in San Antonio, Texas and now a Mariner of Oceanside. Thru-out my coaching career I have had the privilege of coaching for a host of Premier Clubs, both in Maine and Texas and the ODP program in Maine. I knew I wanted to be a coach from a young age when my Dad and I would declare teams and start the competition. It didn’t matter if it was baseball, soccer or basketball, there was always a serious game going on in our yard. Both my parents were educators so teaching came naturally to me. It seemed only fitting that I would combine teaching and my love of sports into a career. Kids and I seem to hit it off smashingly well! 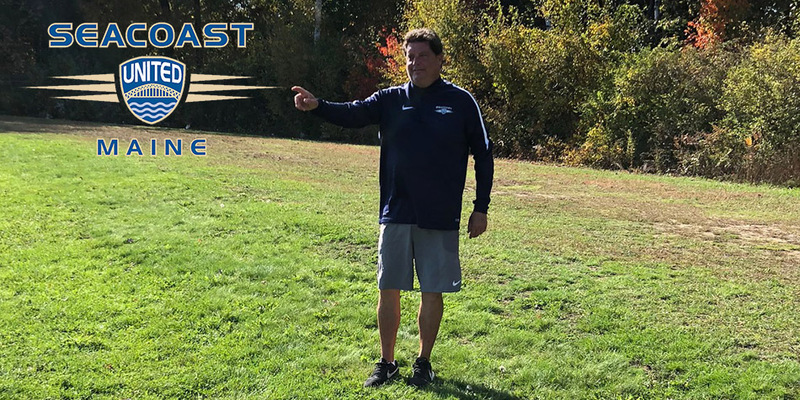 When I moved back to Maine in 2017 I met with Martyn Keen and Andrew Pelletier to discuss coaching possibilities. The professionalism and climate they described when talking about Seacoast made the decision to join an easy one. The culture embraced by all Seacoast staff creates a wonderful place to mentor and train young men and women. I have been blessed to work with several great mentors and coaches both in Maine and Texas. Jim Evans gave me my first coaching books during my rookie year and I sure was grateful. Doug Biggs, Andy Biggs and Todd Sniper welcomed me into their coaching circle early on in my career and were instrumental in my growth as a coach. Later in my coaching career I crossed paths with Oscar Munoz who taught me not only about coaching but about being a better person. While there sure have been some great highs and some deep lows as a coach, I honestly feel that each day I am coaching there is an opportunity to create a new best memory. Watching players develop throughout a season, seeing my former players become coaches and spending countless hours on the pitch with my son Colbi have to be right up there with the bests. Being a New Englander offered many greats to admire but I would have to say Larry Bird. I admired his passion, work ethic and ultra-competiveness. He wasn’t the fastest, couldn’t jump the highest and never looked too pretty but he could out work the best of them and was a true winner. The closest person I can compare him to on the pitch is Roy Keane, formerly of Manchester United. I enjoy spending time with my family whether it’s a mean game of scrabble, round of golf or watching a movie. I like the quiet time both reading and running provides. And of course, supporting my favorite teams. Favorite genre of music – It would be easier to write what I don’t like… I really enjoy most music!